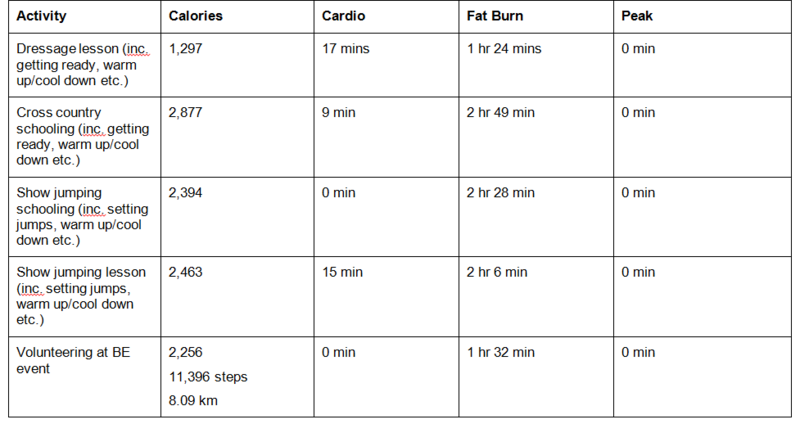 Aside from the usual steps and calories burned counter, Fitbit also tracks your heart rate to determine which ‘training zones’ you are in based on your maximum heart rate (there are lots of tools on the internet to help you calculate this but Fitbit does this automatically) and each zone has a different effect on your fitness. Fat Burn = a moderate intensity exercise at 50 to 69 per cent of your max heart rate, with benefits that include building your aerobic endurance (the ability to exercise for periods of time without tiring) and teaching the body to burn fat as fuel. Cardio = hard exercise at 70 to 84 per cent of your max heart rate. It builds cardiovascular fitness and muscle strength. Peak = vigorous exercise where you are 85 to 100 per cent of your max heart rate. This exercise is fast paced and you will be breathing hard. It is used for improving your anaerobic capacity (maximum amount of oxygen consumed by the body during exercise), increasing your lactate threshold – otherwise known as how long you can sustain this level of effort for – and performance speed. Interestingly nearly all three of the participants spent the most time in the fat burn zone when riding and the only time any of them hit the peak zone was during the BE80(T) dressage. 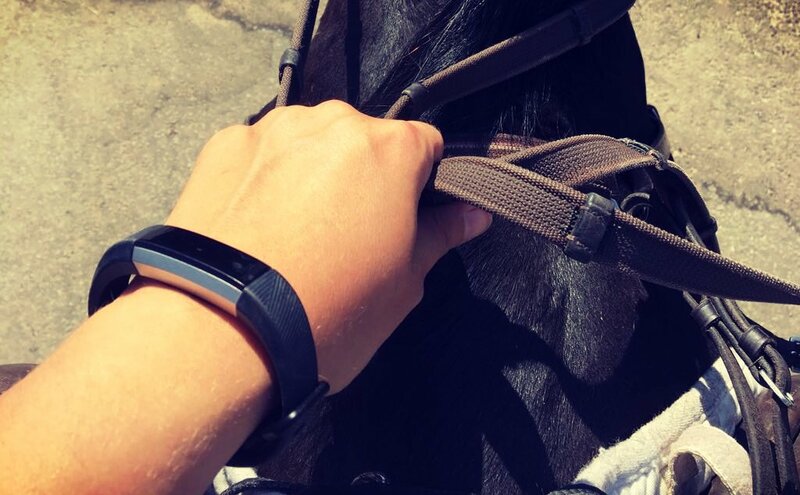 However, it’s worth noting that Fitbit cannot differentiate between exercise and the effect of other stimuli on heart rate, such as adrenaline caused by nerves or excitement, so we can probably conclude that horse riding’s main fitness benefits lay within that fat burning zone. This makes sense as exercising in this zone is a moderate intensity activity which correlates to the many hours on your feet and in the saddle that taking care of and riding horses requires – as opposed to the short, intense, my-heart-is going-to beat-out-of-my-chest exercise needed to hit the Peak zone. We saw the riders went into the Cardio zone a few times, particularly during competition, which again makes sense when you consider how you feel going cross country or during a show jumping round as exercise in the Cardio zone should put just enough stress on your breathing that it will feel comfortably hard, but you could still keep it going for a long time. The fitness benefits of horse riding being within this Fat Burning zone is that it is great for improving your ability to take in oxygen and deliver it efficiently to the muscles being used. It builds base fitness as working muscles get better at using oxygen to make fuel so we can exercise efficiently. The name Fat Burning zone is slightly misleading as one personal trainer explains; “Yes, your body does use more fat as fuel during lower intensity exercise, but you are also burning calories at a slower rate.” Although great at burning fat, it requires long periods of that moderate intensity exercise to do so, which isn’t necessarily the most efficient way. That being said, as you can see in the data, our riders are undertaking long periods of exercise in that Fat Burning zone because they are maintaining it even when not in the saddle. Despite maybe not being the most efficient exercise for burning calories, the data still highlights the considerable calorie-burning properties that horse riding delivers through the fact you remain in the Fat Burning zone for a long time. The results also show that along with creating a great base for your fitness it does provide exercise in the Cardio zone, which has been seen to increase both the amount of and the size of blood vessels in muscles and improves the efficiency of your lungs, i.e. your body is able to get more oxygen to your muscles and get rid of waste. Also, it gets your heart pumping, which is good for your heart health! 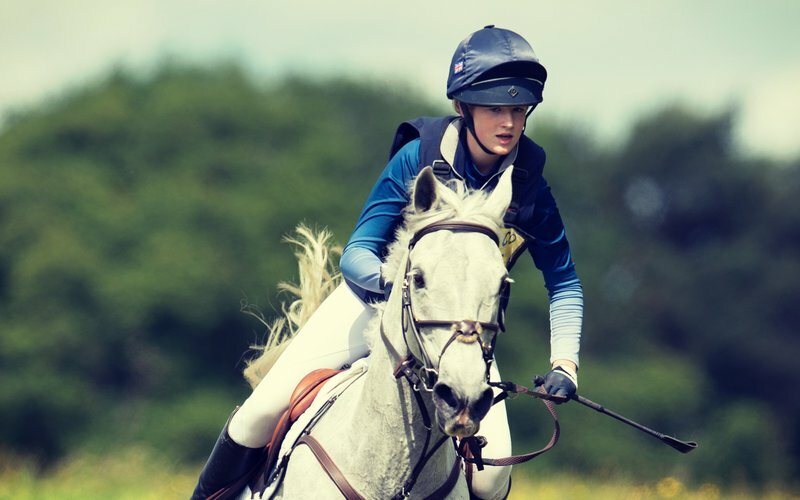 In and out of the saddle, horse riding – according to our Fitbit data – provides a brilliant way to build fitness, but just as you wouldn’t expect your horse to be fit enough to event by hacking every day, rider fitness also requires a balance between various activities in order to gain the most all-round fitness benefits. This article is not a substitute for informed fitness or medical advice. You should not use this information to diagnose or treat a health problem or condition.